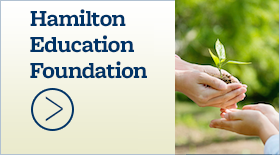 Hamilton Frequently Asked Questions - Hamilton School District. Hamilton High School staff and parents put together this information to assist families in your transition to high school. We hope you find it helpful. Q: What is the daily class and lunch schedule? A: The purpose of advisement is to conduct school business and allow students to meet with teachers and receive support on assignments and tests. Advisement will also be used to offer grade specific curriculum to students. The advisement period will meet between first and second block each day. In addition, students may go to the Instructional Media Center (IMC), computer labs, or attend scheduled meetings on specific days. A student’s opportunity for learning extends beyond the time spent in class. It is essential that students spend quality time completing assignments, pursuing research, and reading and studying material related to classroom experience. Travel is only allowed via a yellow pass from the receiving teacher. All travel must be completed by 9 a.m.
Q: What if a student needs to leave during the day for an appointment? A: If a student needs to leave HHS at any time during the school day, a Blue Pass must be issued from the Attendance Office. Parents should write an explanation for the student to drop off to the office before school stating the reason for leaving that day. Students must keep the pass with them as proof they have been excused from school and not truant. When a student returns on the same day, the pass is presented back to the office. Q: Is there a Health Room? A: Yes, a trained Health Aide is available every school day. If a student becomes ill, the teacher will issue a pass to the Health Room. The Health Room is located near the front entrance to the building. Students must report to the Health Room to report the illness and for it to be documented. Parents will be contacted and the appropriate arrangements will be made. To contact the health room call: (262) 246-6471 x1122. Q: How do I call my child in absent? How does my child find his or her assignments? A: The HHS attendance line is (262) 246-1800 (available 24 hours). The quickest way to find homework/assignments is for students to access their teachers’ Google sites through Infinite Campus. If students are unable to access these sites, homework requests must be made by 10 a.m. by calling (262) 246-1800 and leaving the name and grade of your child. Teachers have until 3 p.m. to complete homework requests and bring them to Office A.
Q: How can I contact teachers? Q: Where do I go for general information? In addition you may look on-line at www.hamilton.k12.wi.us for the posting of HHS daily announcements among other information (follow the “Schools” link to Hamilton High School). Q: What are parent-teacher conferences like? A: Conferences at HHS are first-come, first-served and are limited to five minutes per conference. The first parent-teacher conferences this year will be held Wednesday, October 17, from 3:45 – 7:30 p.m. Additional information will be sent out via email in our weekly Parent Press. Q: What if I need to contact my child’s guidance counselor? Q: What is Infinite Campus? A: Our school district is utilizing Infinite Campus as our student database and resource for parent and student information. All families will need to access Infinite Campus starting August 1 in order to verify family information and pay fees. Schedules will be available starting August 7. Grade reports are no longer mailed out, but will be accessed through Infinite Campus. Q: How to add money to my students lunch account? A: Infinite Campus Lunch Program will be part of our new student information system. You will be able to fund lunch accounts by going through the Infinite Campus portal (available August 1). Balances left in your TMS lunch account will be transferred to your student’s high school account. Please contact the Business Office at (262) 246-1973 x1111 to discuss. Q: Is there an after school activity bus? A: No, there is not an after school activity bus at HHS. Q: When is picture make-up/retake day? A: Picture make-up/retake day is scheduled for Tuesday, September 18 during the day. Q: How do I find my locker? A: Locker assignments will be shown on student schedules which will be available on Infinite Campus starting August 7. Look on the HHS Floor Plan (available online) to find the location of lockers. Lockers may be set up starting Monday, August 27. 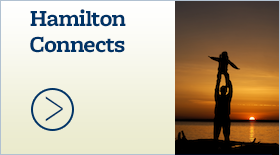 Q: What is the Hamilton Charger Family Pass? A: Our annual HAMILTON CHARGERS FAMILY PASS is available for $75. This pass allows a single household into all regular season home games for the 2018-19 school year. Application forms are available online through the Athletic and Activities page or at Office C. Completed applications with attached cash or check for $75 may be turned into Office C. Starting August 13, passes will be printed and available for pick-up at Office C, or at any home game. Please call Lanell Becker at (262) 246-6471, x1121, with any questions. Q: When and what is Open House? A: Open House will be held on Wednesday, September 12 (Semester I) and Wednesday, January 30 (Semester II) at Hamilton High School beginning promptly at 6 p.m. Parents should come with a printed copy of the student schedule (print from Infinite Campus). 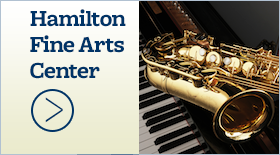 Open House is designed for parents to experience a ‘Day in the Life’ of their child by following a shortened version of their child’s schedule where they will be able to meet staff, obtain course syllabi, and get to know Hamilton High School. First Block will begin at 6 p.m. and the bell schedule will continue until the end of Fourth Block, including Advisement. Starting at 7:15 p.m. in the LGA, a meet and greet will be hosted by administration. Q: What are the 2018-2019 grading periods? Grades at 6, 12 and 18 weeks of each semester will be accessible via Infinite Campus. At 15 weeks of each semester, progress reports will also be accessible via Infinite Campus for students earning a C- or below. All progress reports and report cards, including final semester report cards, will available through Infinite Campus. Q: How do I get access to the most recent HHS information? A: The HHS Student Handbook (which will be distributed to each student in September) and the Parent Press, our online newsletters are available on our website. 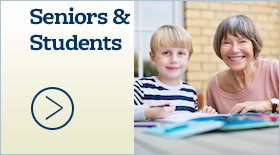 Parent Press is the way the high school communicates any important school information. Please make sure that your email address is updated through Infinite Campus so you can start to receive the newsletters.